Washington – December 4, 2014 – Global internet freedom declined for a fourth consecutive year, according to a Freedom House report released today. New laws criminalized online dissent and legitimized overbroad surveillance and data collection, while more people were arrested for legitimate online activities than ever before. Ladies and gentlemen of the press, you are welcome. The focus of this Press Briefing is to drum support for a much-needed Cybercrime Bill for Nigeria. Paradigm Initiative Nigeria (PIN) has worked on this need since 2008, and with our eyes set on the need for a firm but fair legislation that does not hurt Internet Freedom. The offence known as cybercrime involves using electronic devices by individuals to commit crimes ranging from cyber-terrorism, identity theft, to spam, among many others. There is no gainsaying the fact that cybercrime has assumed alarming dimensions in the country, constituting a menace to economic development. Nigeria as a country is susceptible to all sorts of online attacks due to the absence of appropriate legal framework for the prohibition, prevention, detection, response, investigation and prosecution of offences in the cyberspace. In 2003, Paradigm Initiative Nigeria’s “Economic Cost of Cybercrime in Nigeria” report revealed an annual loss of N2.15 trillion due to cybercrime. Perpetrators of this offence often get away with the crime because there are no laws in place to prosecute offenders. Hence, the need for a fair, comprehensive and proactive legal regime to curb the menace. In response to this missing link in the law on cybercrime, the office of the National Security Advisor and the Ministry of Justice completed work on a Cybercrime Bill 2014. This came from a revise of the earlier Cyber Security and Information Protection Agency Bill, which had provisions that had potential to restrict users’ rights to free expression and privacy, by allowing security officials apprehend and prosecute users based on suspicion and without Court Order. The Senate has passed the cybercrime bill. The next urgent step is for the lower Legislative Chamber, the House of Representatives, to concur to its passage, before President Goodluck Jonathan will eventually sign it into law for proper implementation. As the polity switches into election mood for February 2015, there is urgent need to make hay. Over the next eight weeks, PIN plans a range of activities to improve awareness across the public, political and business spaces to mobilize pressure on the legislature and executive to fast-track the passage of the ‘Cybercrime Bill, 2014’ before Parliament is dissolved in May 2015. Failure to achieve this will bring to waste the huge work and resources that have gone in the bill. Advocacy visit to media outlets to drum up support for the Cybercrime Bill 2014. PIN, therefore, calls on all – citizens, media, businesses and governments – who value our rights to use the Internet without fear and risk, to join in partnership in this endeavor. Media and civil society fought to ensure the passage of a Freedom of Information Bill into law in Nigeria to ensure more transparency in governance. Unfortunately, it appears that some government agencies will do anything not to comply with the provision of the law on freedom of information. It is no news that a couple of cases have had recourse to the courts for the enforcement of this right. On the 4th day of September, 2014, PIN had written to the National Identity Management Commission (NIMC) on behalf of itself and the Public and Private Development Centre and in accordance with the Freedom of Information Act 2011, requesting for copies of all documents relating to Procurement and Contract for the Provision of Payment by MaterCard for General Multi-purpose Card including the grant document and the grant agreement between MasterCard and NIMC, contract currency, the effective (start) date of the contract and the end date of the contract, the terms and conditions of the contract, payment schedule, the payment terms, etc. This legitimate request was however not conceded by the Commission despite several follow-up and reminders to that effect. NIMC only responded on the 24th of October, after more than one month, contrary to the provision of the FOI Act, which stipulates one week. In refusing to grant the applicant their request, NIMC cited Trade Secret and National Security as the reasons for such denial. This excuse by NIMC holds no water as the procurement and contract details or information requested for, as listed in their letter dated 4th September, 2014, relates to public expenditure simpliciter, which by virtue of Section 2 of the FOIA 2011 ought to be made readily available. Even without the FOI Act, all the information PIN requested could still have been legitimately asked for under the PPA. “We trust that NIMC will do the right thing as PIN and PPDC have now sent another request to the organization, requesting for specific information under the provisions of the FOI Act. 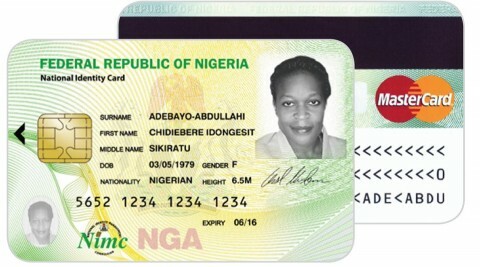 The national ID card project has raised a lot of privacy concerns and we believe that the lack of a Data Privacy law in Nigeria should make organisations like NIMC consider the weight of their actions more seriously. With diverse institutions – banks, INEC, Immigration Service, FRSC, telecommunications companies – holding the private data of Nigerian citizens, it’s time to ask the tough questions around the absence of Data Privacy law”, ‘Gbenga Sesan added.